Lockheed Martin’s Long Range Discrimination Radar has completed a closed loop satellite track with tactical hardware and software marking a significant achievement as the program continues to meet its technical milestones and works towards delivery to the Missile Defense Agency in 2020 at its Clear, Alaska, site. 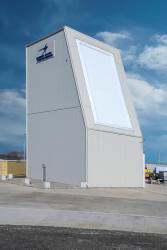 The program is built upon the U.S. government’s long-term investment in S-Band radar, ground-based radar, and systems integration, as evident in such Lockheed Martin technologies as the Aegis Combat System, Space Fence and Aegis Ashore. Earlier this year, Lockheed Martin demonstrated its commitment to advancing SSR technology and addressing emerging and evolving threats by connecting key components of LRDR and its Aegis Ashore technologies, demonstrating the ability to greatly increase operational performance, efficiency and reliability of Aegis Ashore. 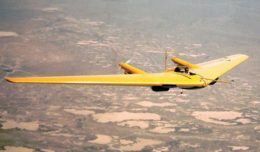 Connecting these systems also provides the war fighter with earlier intelligence and expanded situational awareness.